Last summer I worked at the Boys and Girls Club, working with first- and second-grade kids. One boy named Bryce came up to me while we were in the “Chillax Room,” where there were board games, puzzles, Disney movies, and books. He was obviously very upset. I asked him what was wrong (seven-year-olds often cry, and it’s usually nothing life-threatening), and through the tears he said “Planets can be destroyed!” I said, “What?” He just repeated himself, so I asked him what he had been doing. He said he had been reading a book, so I asked him to show me the book. It was a very large science book about space. He said, “See? 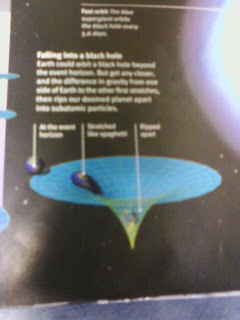 Planets can be completely destroyed!” He pointed to an illustration on a page titled “BLACK HOLES” where a warped image of earth was being sucked into a black hole. At first I had to contain my laughter, but I restrained myself and tried to explain the improbability of this situation happening. He was resolute, saying “But it could happen! You know it could!” I had to agree, but told him that no one in the entire history of humans had ever had it happen to them. After a few minutes of talking, he calmed down a bit, and then his mom came to pick him up. 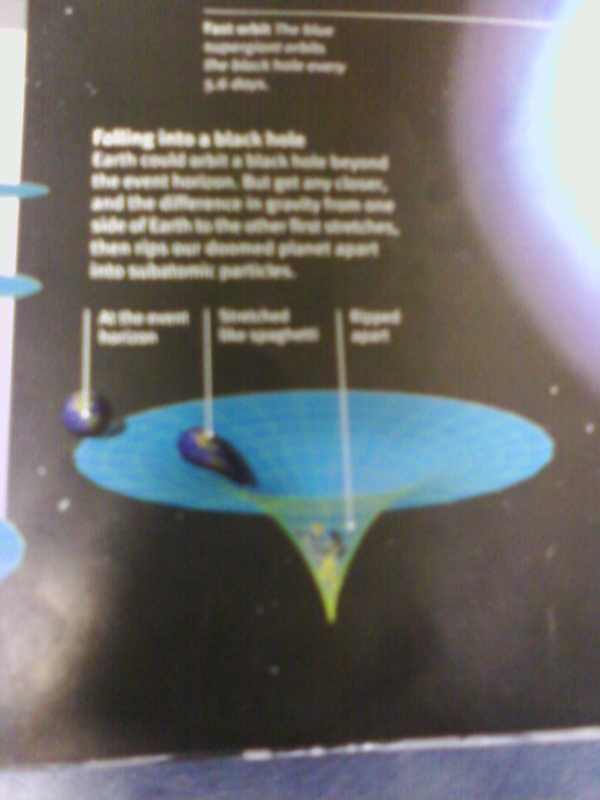 Still slightly upset, Bryce said, “Mom, planets can be destroyed!” Mom gave me a quizzical look, and I explained that we had been reading about black holes. She said “Bryce, I’ll make you a bet. If that ever happens, I’ll give you one hundred dollars.” Being the bright kid he was, Bryce said “No you won’t, because we’ll all be dead!” Mom laughed as I again contained my laughter, and they left. I think Bryce left this very humorous crisis a little calmer than when he made that unsettling discovery.